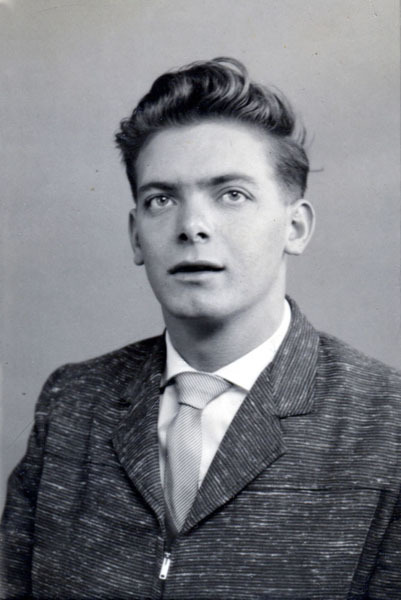 John McKay as a young man going to sea. 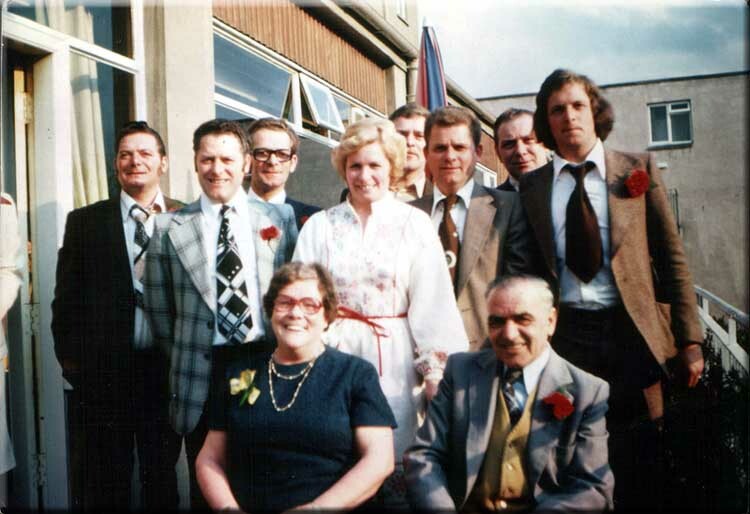 The McKay family in Edinburgh 1977. Standing Back Row - John, Norman, Alan and Tom. Standing Centre Row - Stewart, Catherine, Alistair and Gordon. Seated in Front - Mum Cathy and Dad Willie. John's son Willie has kindly allowed me to use some of his father's photographs to illustrate aspects of life for whalers that are not often seen. 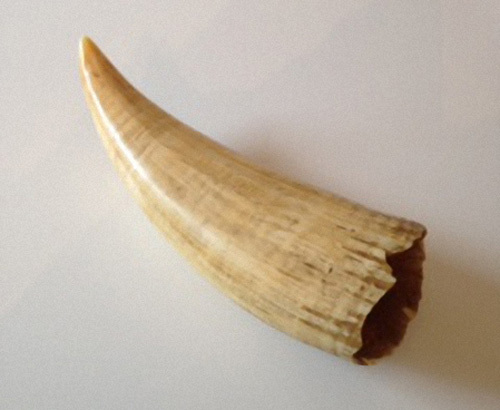 When he was a little boy, Willie had asked his father about the whale's tooth and how he got it. John had replied that he had wrestled a whale and pulled the tooth out with his bare hands! All little boys believe what their fathers tell them, and Willie thought that his dad was some kind of superman till he was old enough to know better. John must have had a great sense of humour. Thanks to Willie for the story. It did make me smile. John's documents as a whaler and merchant seaman. 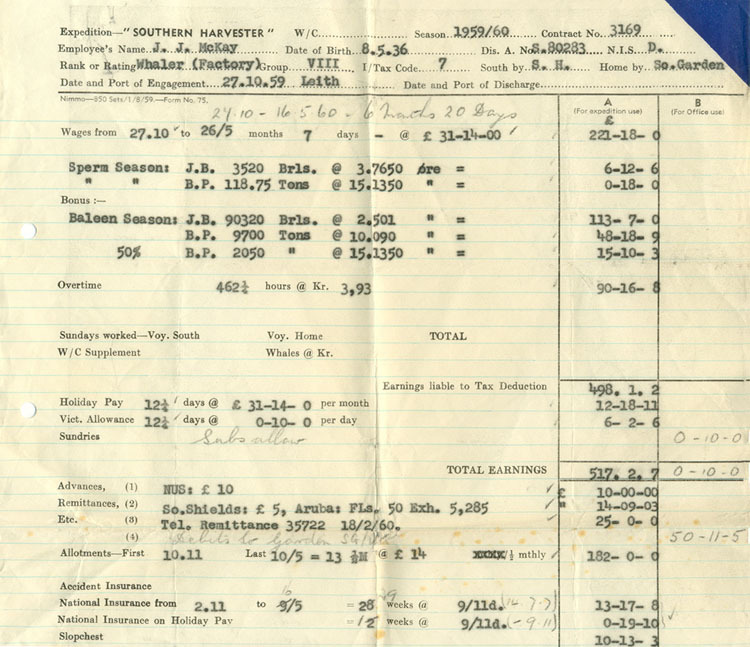 All merchant seamen were required by law to carry identification. 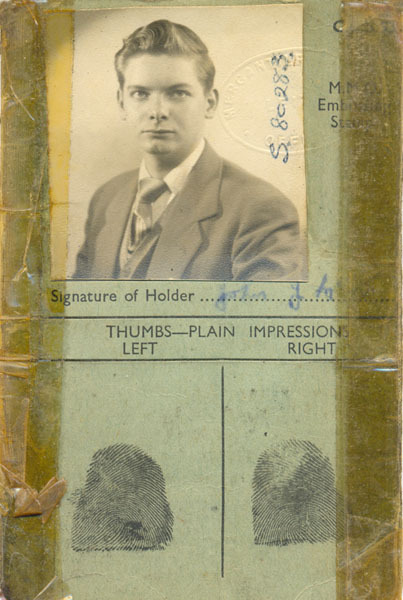 This is John's ID card, including thumb prints. 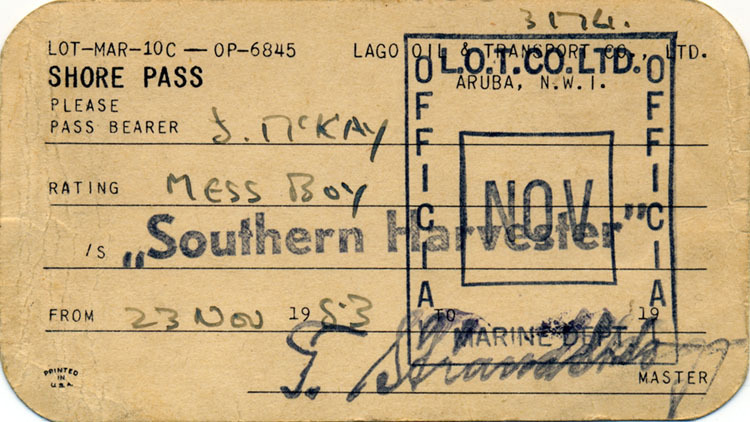 A shore pass issued to John in Aruba when he was a mess boy in 1953. 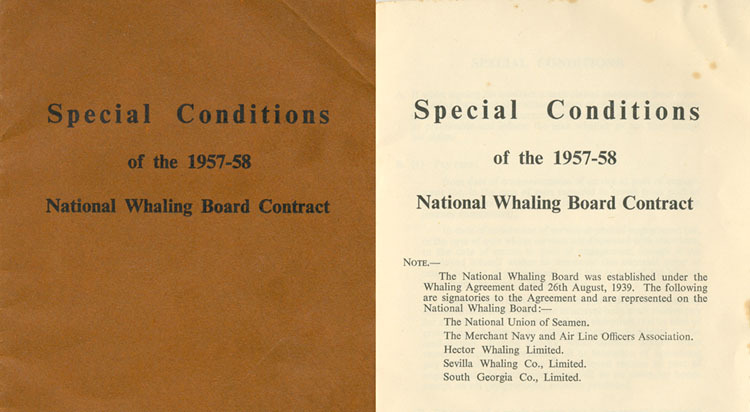 Every man was issued with a copy of the National Whaling Board Contract. 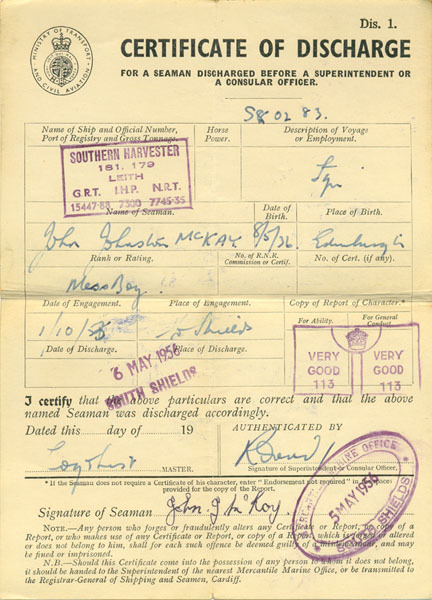 John's Certificate Of Discharge from 1956. Ability and conduct are "very good". A Ship Letter Telegram was the only way of keeping in touch with family at home. 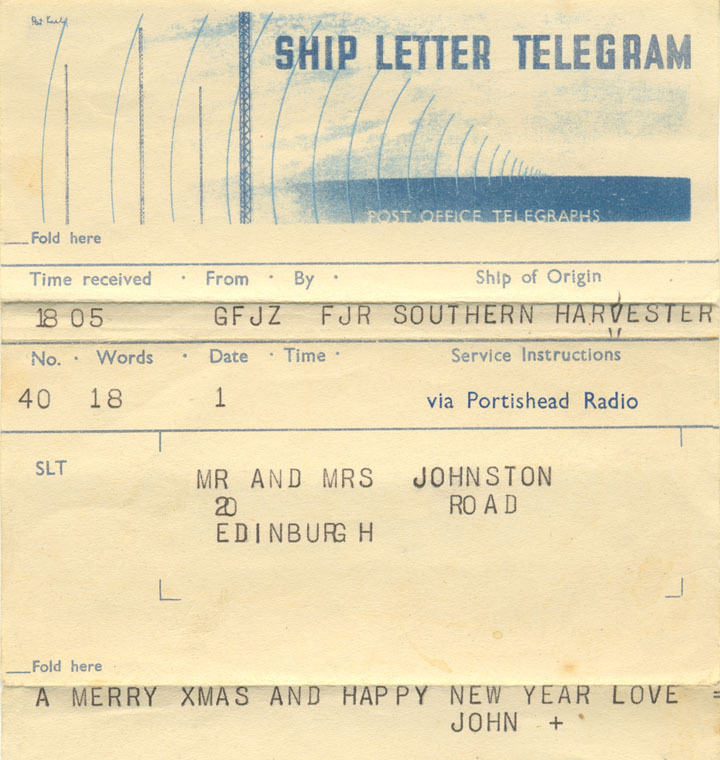 This is a copy of the telegram that John sent to his grandparents. A copy of a pay slip for the 1959 to 1960 season.